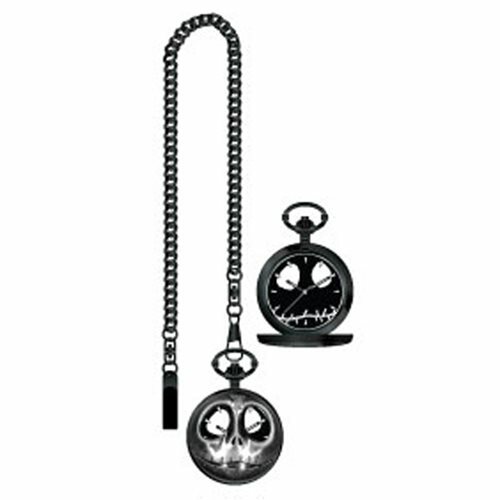 From the Nightmare Before Christmas world comes this Jack Skellington Skull Pocket Watch! This sleek watch features a 3-D sculpt of Jack's face on the front and when opened, it reveals another image of Jack.. Watch measures approximately 4-inches wide x 3-inches tall x 2 3/4-inches long. The chain measures approximately 15-inches long and the watch comes packaged in a displayable box. Ages 14 and up.